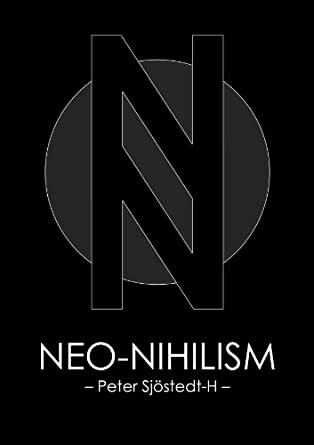 This text concisely puts forward the case for a form of nihilism – fusing thoughts from Hume, Schopenhauer, and Nietzsche, amongst others. It forcefully argues that morality as we know it is a power structure disguised as knowledge; that law is based upon this false idol; and that thus power is, in fact, the basis of all life. Peter Sjöstedt-H is an Anglo-Scandinavian philosopher who specialises in the thought of Schopenhauer, Nietzsche, and Bergson, and within the field of Philosophy of Mind. Peter has a Bachelor’s degree in Philosophy and a Master’s degree in Continental Philosophy from the University of Warwick, where he was awarded a first class distinction for his dissertation on Kant and Schelling in relation to ‘intellectual intuition’. Peter subsequently became a Philosophy Lecturer in South Kensington, London for six years before returning to the tranquility of westernmost Cornwall with his partner and young son. He is now an independent philosopher, giving talks around Europe whilst writing essays, articles and books. Conscious Robots: If We Really Had Free Will, What Would We Do All Day? The core of this short outpouring of thought, as I opine it, is the refutation of the foundations of thinking as possessing an inherent basis. To use a buddhist term 'the emptiness of emptiness.' I will be looking for more works by this author. I am not an atheist but an evangelical, reformed Christian. However, that being said, I must say how much I really enjoyed this book. What is most refreshing is the honesty that is displayed with regards to morality when the same is placed into the context of the atheistic worldview. I can really appreciate how the author follows his presuppositions to their logical conclusions, as opposed to the incorporation of fallacious reasoning to maintain morality within a worldview that excludes a supreme moral law giver. 5.0 out of 5 starsShort but WOW! Just got it tonight and up to this point I can say this is a very interesting and well written short book. Short but powerful and direct to the main points. A short book that is insightful but needed to be fleshed out. The three premises built on subsets of prior philosophy seem to entail a leap that where the will to power was posited as a good derived from descriptions of human relations which would violate the authors dependence on Hume's is-ought distinction. Only in the last few paragraphs does the author make it clear that it is not truth as such only the moral imperatives arrived from truths and it is not values as such, just any attempt to make values objective and thus universal that is a problem. 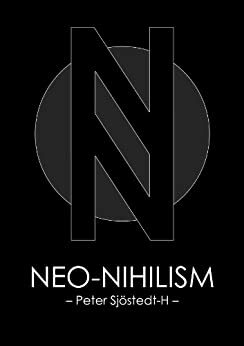 He does show that this is not moral relativism in that moral relativism has a conclusion respect different moral systems that is in contradiction to it with its premise, there is no universal morality and this his neo-nihilism is different. That said it does not seem that different from Heideggerian existentialism. Furthermore, many assertions in this book, such a Nietzsche's dependence on and critique of Kant, could be very long book topics in and of themselves. This essay is far from perfect but it is interesting.